Super Channel was a satellite television channel based in the United Kingdom that broadcast across Europe. It was picked up by various European cable television networks. The channel was broadcast from 1987 – 1993. 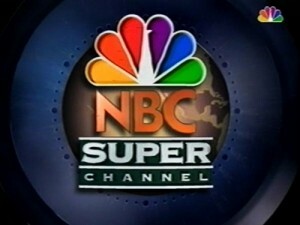 It was taken over by NBC in 1993 and renames NBC Super Channel and finally NBC Europe. 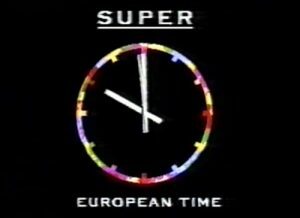 Launched on 30 January 1987, replacing 24-hour music channel Music Box, Super Channel was co-owned by all but one of the ITV companies at the time in the United Kingdom. It competed with Sky Channel, the forerunner of Sky1, which was the only other major pan-European satellite-channel around at the time. Unlike Sky Channel, Super Channel’s syndicated output was less American and more European. Many of the programmes were what it called the “Best of British”, sourced from ITV or the BBC, while ITN produced news bulletins (see also ITN World News). It also broadcast syndicated non-British European programmes such as the Dutch sitcom Zeg ‘ns Aaa (with English subtitles). Super Channel fared poorly, unable to earn sufficient revenue from advertising or cable networks that carried it, while it’s British programming, with the exception of The Benny Hill Show, did not appeal to most audiences in mainland Europe. The BBC later went on to launch its own, more successful, subscription-funded channel BBC TV Europe – later rebranded as BBC World Service Television, and then as BBC World and BBC Prime. Within a year, the ITV companies sold the channel to the Italian Marcucci family, owners of Videomusic, the first music channel in Italy, with a minority stake being held by Richard Branson’s Virgin plc, and the programming changed from British to pan-European, although it continued carrying ITN’s World News bulletins. At the beginning Super Channel was based in the heart of London, 19-22 Rathbone Place, London W1P 1DF, in the same building as Music Box; the building would later become the home of CNN International until 2007. For a number of months, the channel’s transmission facilities were provided by Molinare at Fouberts Place, London W1. Transmission briefly returned to Rathbone Place before in 1991 Super Channel moved to Melrose House, 14 Lanark Square, in Limeharbour (London). In 1996 the channel (along with its sister channel CNBC Europe) was transmitted from the GE building in Hammersmith, London. The transmission suite used cutting edge (at the time) Pro-Bel COMPASS and MAPP automation, and Profile video servers for all commercials and promotions. Programmes continued to be played from tape. 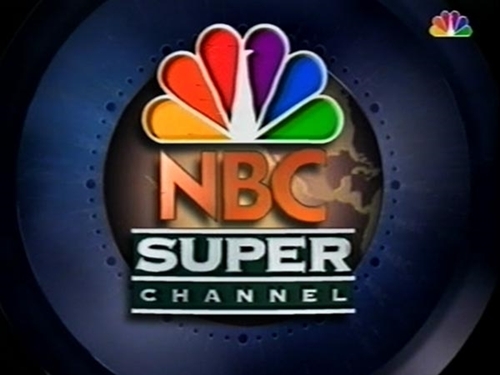 In 1993, the Super Channel was having financial difficulties, and was taken over by the American company General Electric, the parent of the NBC television network, and became NBC Super Channel. In 1996, the channel was renamed NBC Europe, but was, from then on, almost always referred to as simply “NBC” on the air. Most of NBC Europe’s prime time programming was produced in Europe, but after 11 pm Central European Time on weekday evenings, the channel aired The Tonight Show, Late Night with Conan O’Brien, Later and Saturday Night Live, hence its slogan “Where the Stars Come Out at Night.” Most NBC News programs were broadcast on NBC Europe, including Dateline NBC, Time and Again and NBC Nightly News, which was aired live. The Today Show was also initially shown live in the afternoons but was later broadcast the following morning instead, by which time it was more than half a day old. That meant that all news portions had to be replaced with European updates produced by ITN in London. ITN also supplied the network with the main European newscasts before and after the GE takeover. The European weather was produced by the BBC at first, being later taken over by NBC in the U.S.
NBC Europe carried virtually no prime time fiction entertainment programs shown on NBC in the US because they were usually owned and distributed by other studios under the fin-syn rules (which did not apply for Europe). NBC would have had to buy the rights for each country in order to show them on NBC Europe, which would have been too expensive. Even for shows that NBC Studios owned itself, it was generally more financially viable to sell the rights country by country either to broadcast or cable/satellite channels than to air them on NBC Europe. The most notable exceptions to this rule were brief runs of Profiler and The Pretender, as well as short-lived US sitcoms Union Square and Mr Rhodes. That is widely considered to be one of the main reasons why NBC Europe was ultimately not a success. NBC Europe stopped broadcasting to most of Europe in 1998 when the DFA (Deutsche Fernsehnachrichten Agentur) took it over and moved it to Düsseldorf. Most of the satellite feeds of NBC Europe became either National Geographic or CNBC. NBC Europe continued to operate on the German cable TV, fed by one digital satellite link from Eutelsat II-F1 (later Hotbird 5). In November 1998 the first German programming started airing. Programming was assembled with content from GIGA and CNBC Europe, as well as other shows. In 2004, NBC Universal took over the DFA and consequently NBC Europe. On September 29, 2005, NBC Europe was split into GIGA and the new channel Das Vierte. NBC Europe was replaced by Das Vierte.